San Diego, Calif. – Community activists and faith leaders gathered outside a local CVS pharmacy yesterday to warn consumers about expired products found on the shelves at CVS. The community leaders were reacting to the results of a survey, announced today, that found 77 percent of Greater San Diego CVS stores surveyed had expired goods for sale and that CVS stores operating in communities with higher concentrations of residents of color are more likely to lock condoms, creating a deterrent in communities most at risk of HIV/AIDS. Standing before a display of expired infant formula, baby food, medication and other products that were recently purchased at area CVS stores, community leaders called on the nation’s largest drugstore chain to show respect for the community by removing all expired products and remove condoms from locked displays. “Everyone wants to live in a safe and healthy neighborhood. But in San Diego, one of the largest and most prominent drugstores – CVS – is proving itself to be a poor corporate neighbor by stocking its shelves with merchandise, including baby formula, that is well beyond its designated sell date. We urge CVS to correct this practice immediately!” said Pastor Wayne Riggs of the Plymouth Congregational Church of San Diego. In late February 2009, surveyors observed expired products for sale in over three-fourths of the CVS stores visited in Greater San Diego. The expired goods included infant formula, dairy goods and child and adult medications. Over 40 percent of visited stores had expired milk or eggs in their dairy coolers; the same number of stores stocked expired infant formula. 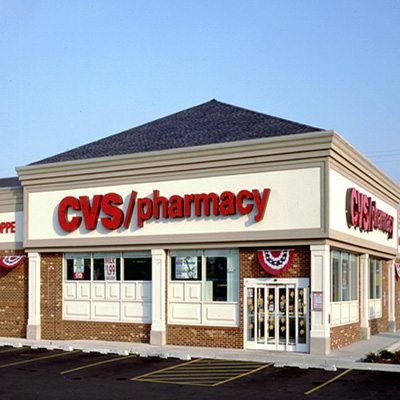 One-third of CVS stores had expired child and/or adult medications available for sale. “I have a senior citizen in my congregation who unknowingly bought Ensure from CVS and drank it before she noticed it was expired, which brought on further complications for her. I am surprised to find CVS selling expired products in so many of its stores here in San Diego. CVS, for all the ways that you say you care, put some action to that model. Stop selling expired products,” said Chaplain Gerald Johnson, President of the North County NAACP. This is not the first time expired products have been found at CVS. Surveyors found expired infant formula, milk or eggs on CVS shelves in 666 stores across the country – representing more than 42 percent of the stores surveyed, according to a report [ed: see below for link 1] released last year. Last June, California Attorney General Jerry Brown criticized CVS for selling expired products at dozens of stores in Southern California, including San Diego County. The Attorney General said the practice violated laws against deceptive advertising and unfair business practices. Condoms were observed under lock and key in one-quarter (7 stores) of the 27 CVS stores visited. Despite CVS’s claim that all stores have some unlocked packages available, surveyors found all the condoms were inaccessible without staff assistance at all seven stores. Moreover, the stores with locked up condoms are more likely located in areas with the greatest concentration of residents of color than in CVS stores located in more white areas of Greater San Diego. In communities where people of color compose at least 40 percent of the population, a majority of the stores visited (5 of 9) have condoms under lock and key. In the communities with fewer people of color, less than 15 percent of the visited stores (2 of 18) had locked up condoms. HIV/AIDS is a leading cause of death for Latinos. The rate of new HIV infections among Latinos is three times the rate among whites. San Diego is among the top 10 cities in the U.S. with the highest number of Hispanic adults/adolescents living with AIDS. Blacks have the highest rate of AIDS in the County of San Diego and blacks have the highest proportion of cases diagnosed in women. HIV/AIDS is the number one killer of black American women between the ages of 25 and 34. The Greater San Diego findings reflect a nationwide pattern—the proportion of CVS stores with locked up condoms increases with the percentage of residents of color in a given neighborhood, according to a survey [ed: see below for link 2] of CVS stores and demographic data from the U.S. Census Bureau. labor dispute or not, this is fucked up. if we start a boycott of CVS that would probably hurt the workers more than management. i don’t know, do you? CVS selling expired products is unacceptable. The manufacturers of these products will likely get involved or at least take notice, as consumers buying from CVS may wrongly place blame on them (manuf.) rather than the store. Re: Locking up products in neighborhoods with “people of color” – How many of these products were shoplifted before CVS locked them up to do something about it? If people in these neighborhoods didn’t steal, products would be on the shelf just like the stores in other neighborhoods. It has nothing to do with race or color. Do you really think CVS execs, when opening a new store, sit around and say “Oh, this is a black neighborhood, let’s allocate some of that important space behind the counter for condoms. Because you KNOW they’ll steal them.” Not likely, especially in today’s PC society. Also interesting to know would be – What are the races of the people complaining about this? Are the people in the neighborhood complaining about the inconvenience? Or is this being stirred up by someone unaffected? This is common sense. People were stealing a certain product from certain stores. The store did something about it. CVS is not making a “social statement” about the neighborhood. There is a run on condoms in minority communities?